Sheep heading out of their field. It was interesting to note that they were scattered over the field and headed back to the groove before heading to the gate. 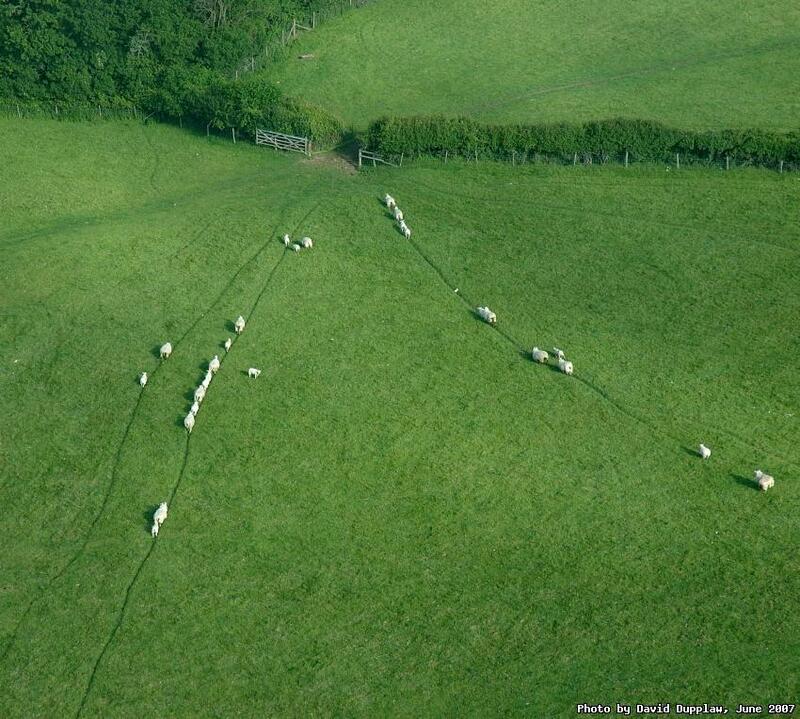 It's like the sheep equivalent of a highway, I guess.